At Brigham and Women's Hospital (BWH) and the National Institute of Neurological Disorders and Stroke (NINDS), a team of investigators has launched a new study of individuals at risk for multiple sclerosis (MS). By focusing on first-degree family members of MS patients, the research team seeks to better understand the sequence of events that leads some people to develop the disease. Their work also sets the stage for developing and testing interventions with which to block the onset of MS. The research team introduces the Genes and Environment in Multiple Sclerosis (GEMS) project, a large prospective natural history study, in a publication in the Annals of Neurology. Upon enrollment in the study, participants completed a web-based questionnaire about their medical history, family history, environmental exposures and more. Participants also submitted a saliva sample for DNA extraction. "Since the disease likely starts many years before the first symptom appears, we do not yet understand how genetic and environmental risk factors come together to trigger MS," said co-senior author Daniel Reich, MD, PhD, of the Division of Neuroimmunology and Neurovirology at the NINDS. "When a patient comes to see a neurologist for the first time, the process of brain inflammation is well underway, since many lesions have few or no symptoms." In their preliminary analysis, the research team tested a method to calculate an individual's risk of MS, and identified a subset of family members that may have a higher risk of developing MS than the average family member. Although not yet clinically deployable, this risk score could help design long-term studies of higher-risk individuals. "This report is an important first step. We do not yet have a tool that we can use clinically to predict MS.
To develop such tools further, and to develop a platform for testing strategies to prevent the disease altogether, we are expanding GEMS into a larger collaborative study that will accelerate the progress of discovery and bring together a community of investigators to overcome this important challenge," says De Jager. 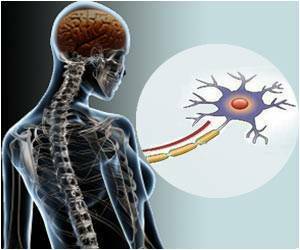 "Overall, the risk of MS remains very small for most family members. The most effective therapies for MS will ultimately be those that prevent its onset, as halting inflammation and disease progression are much more difficult once the disease has become established."